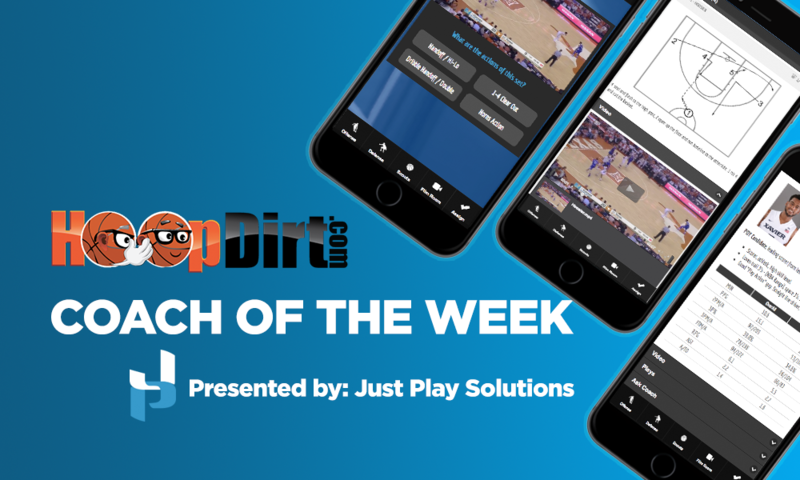 BOSTON, MA – HoopDirt.com and Just Play Solutions have strengthened their partnership by once again teaming up to present college basketball’s Coach of the Week Award, culminating in the 2018-19 Coach of the Year Award. This will be the fourth season that HoopDirt.com will recognize coaches weekly at the DI, DII, DIII, NAIA, and Junior College levels for their accomplishments. Each weekly winner is eligible to receive the Coach of the Year Award at the conclusion of the 2018-19 college basketball season. The first Coach of the Week winners will be announced on Monday, November 19th, and will continue throughout the 2018-19 season. If you have a coach that you would like to nominate, please email us at: [email protected].